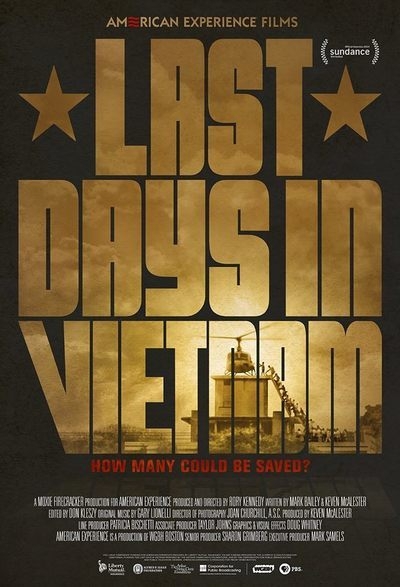 Dao X. Tran reviews the historical documentary, The Last Days In Vietnam, which premiered on September 5, 2014. The original post was first published in Hyphen and can be read here. Last Days in Vietnam. The film’s title and that it was made as part of PBS’s American Experience series should have tipped me off that it would be no different than most U.S. films about the war in Vietnam — that is, fully focused on the experiences and perspectives of Americans there and only able to pay cursory attention to the Vietnamese who were supporters of or employed by the U.S. intervention forces. The Vietnamese people in this film aren’t merely props, but only barely. Yes, there is powerful archival footage never seen in a film before. Yes, there are moving interviews with U.S. vets and South Vietnamese vets and citizens connected to the U.S. war effort looking back on what they did and didn’t do and the consequences. But in the end, this documentary embraces a singular U.S. perspective, fully informed by regret and guilt, bent on rehabilitating the U.S. war project in Vietnam. That some U..S military and government officials and personnel acted in honorable ways toward their South Vietnamese counterparts is undeniable. But focusing the narrative on these “last days” and highlighting the role of “humanitarian” efforts to evacuate Vietnamese allies inevitably distorts the historical record. About ten minutes in, the key American characters have been established. They include a strangely optimistic and intransigent U.S. ambassador, who refuses to consider the possibility that U.S. forces are on the brink of retreat, several lower-level officers, embassy workers, and enlisted U.S. soldiers who do the best they can in difficult circumstances. The regret about leaving behind Vietnamese who were “loyal” that informs the various U.S. servicemen’s recollections is genuine, but one wonders why there was hand-wringing over the thousands they wanted to help and so little sympathy to spare for the nation and millions already devastated. We are plunged into the chaos (which no doubt existed) of the reunification, or fall — depending on your political lens — of Saigon with them. Surely, one of the strongest potentials of documentary film is its ability to provide the context needed for historical understanding. Why was the United States in Vietnam? Why was the country divided into North and South? What happened between the time the U.S. sent in “advisors” in 1961 and April 1975? But Last Days instead relies on tired, old (and un-nuanced) explanations: the United States was in Vietnam to aid a “democratic” government push back against aggressive Communists “invading” from the North. I have already heard the defense: This film and its filmmaker were just trying to be neutral and present archival footage and commentary from some participants so that audiences can make up their own minds. But as we know, what you choose to include and highlight matters as much as what you exclude or push into the background. Appearing on The Daily Show, Rory Kennedy offered this for a short summary of the political context: “The country falls within four months because the U.S. isn’t there…. They [the North Vietnamese] broke the peace accord…. There was no support by the U.S. and…it fell like a house of cards.” I happen to agree with the “falling like a house of cards” analogy, but from a vastly different perspective. Corrupt regimes like the one that existed in South Vietnam in 1975 — that didn’t even pretend to embody yearnings for national independence and liberation — do not tend to have much popular support. No doubt the coming fortieth anniversary of this war also has much to do with Last Days’ particular rewriting of the history. At a time when “the United States is ‘abandoning’ Iraq and Afghanistan” is the dominant lens through which the latest military adventures of our state is seen, the argument (for those in power) that is of paramount importance is that the United States was right to be there, was right to intervene, and should not have left. They could not be more wrong. My six-year-old, curious about a postcard I picked up at the screening about a connected project to preserve the stories of those who lived through those “last days” and came to live in the United States, asked me why the documentary asserted that it was the last days when the country obviously still exists. Sadly, the film never even imagines this question. Dao X. Tran– Born in Vietnam, Dao is the last of eight children in a family of refugees who came to the United States in 1975. She coedited <<101 Changemakers: Rebels and Radicals Who Changed US History>>, works on oral history projects, and is based in New York City. Please take the time to share this post. Sharing (on email, Facebook, etc.) 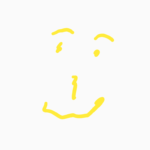 helps spread the word about diaCRITICS. Join the conversation and leave a comment! Have you seen The Last Days In Vietnam yet? If so, tell us what you think! We want to know! As someone with limited understanding of the Vietnamese American community, this documentary was helpful in explaining the deep attachment of many immigrant Vietnamese Americans to the US and the military forces that shared their fights against North Vietnamese. Although ahistorical, the documentary captures how profoundly grateful the limited numbers who did manage to escape must have been to the Americans who helped them. “Good intentions” certainly received emphasis while the longer and broader contexts are barely raised. I haven’t seen it yet, Madeline–no getting out of the house with a kid. But I do worry that the documentary focuses exactly on the most amenable aspect of Vietnamese refugee experiences–the gratitude, what historian Phuong Nguyen calls “refugee nationalism.” Yen Le Espiritu deals with this appropriation of refugee gratitude in Body Counts, too. And what Mimi Thi Nguyen calls “the gift of freedom.” Just read T. Fujitani’s “Race for Empire” and he makes a similar argument for how Japanese American soldiers’ patriotism, while real, was also manufactured and amplified by American propaganda as an inoculation against American racism. There’s a way that Vietnamese refugee gratitude is also being amplified in that way to inoculate against the memories of American abandonment. diaCRITIC Linh Dinh writes on the censure and oppression of three poets after the fall of Saigon.